Michael Boyes is the founder of Credo Consulting whose mission is to help leaders thrive and teams prosper. He believes that people and organizations rise and fall based on the conversations they have, the conversations they don’t have, and on their commitment to honest and positive relationships. For 25 years, Michael has used his training in Industrial/Organizational Psychology to help leaders reach their personal, team, and organizational goals. Transform their teams through transparent communication. Engage people more fully in meaningful work. Understand human cognition and develop critical thinking skills on their teams. Clients describe him as a skilled and energetic trainer and value his ability to relate with people and gain insight into their issues. Throughout his career, Michael has worked as an external consultant to organizations and as an internal resource to leaders. His clients have included small and large organizations in financial services, healthcare, energy, real estate, manufacturing, education, and the federal government. Casey Gomes collaborates with leaders in Healthcare, Federal Agencies, private companies, universities, and non-profit organizations. He is passionate about partnering with his clients to create results and relationships that extend far beyond the specific project or engagement. 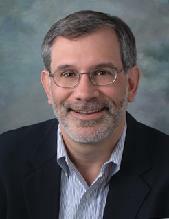 Professionally, Casey has spent his career working in leadership and organizational development. He has experience in organization development interventions, research methodology, large and small group facilitation, strategic planning, change management, leadership coaching, education, e-change initiatives and curriculum design. He is president and founder of X3 coaching and consulting. Additionally, Casey is a Faculty Member for the American Management Association. Previously, Casey served as the consultant of leadership and organizational development at Union Memorial Hospital in Baltimore, Maryland, part of MedStar Health. 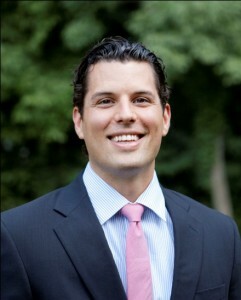 He also worked in Washington, D.C., for Touchstone SRA Consulting. In this position he served as a consultant to the Department of Homeland Security’s (DHS) SAFECOM program, FEMA and Disaster Management. He supported interventions designed to improve communications interoperability by coordinating exercises with first responders and both local and state officials. 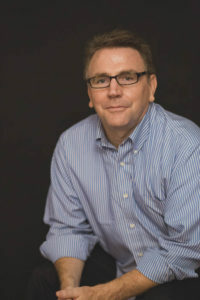 Casey received a master’s degree in organization development and strategic human resources from the Carey Business School at Johns Hopkins University and his bachelor’s degree from the University of Maryland. 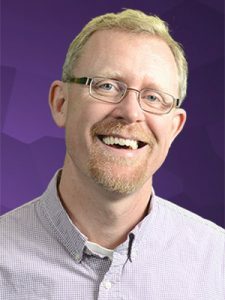 As a creativity coach, Ken provides business leaders and entrepreneurs a unique blend of challenge, support, and encouragement. He is passionate about helping individuals and teams release their natural creative talents to turn aspirations into results and make a lasting impact in the world. Ken was trained at The Coaches Training Institute and is a Professional Certified Coach (PCC) with International Coach Federation (ICF). Ken is the founder of Creativity Labs, which helps organizations and teams improve productivity using the creative process. Through fun, interactive workshops, his clients experience fresh perspectives and renewed energy for collaboration. Ken enjoys the challenge of leveraging over 20 years of creativity experience into building creative teams. Ken is the founder of Accent Interactive, a creative agency offering marketing strategy and communication services. Fascinated by the intersection of creativity and technology, Ken helps businesses tell their story through websites, video, writing, music, film, photography, and presentations. As a renaissance man, Ken has expertise in music technology and composition. He holds a Master of Music in Computer Music Composition from Peabody Conservatory at Johns Hopkins University and a Bachelor of Music in Composition with a Minor in Computer Science from California State University, Fullerton. Ken has also taught music theory and the Great Books at Biola University. Learn more at KenKinard.com. Joe Raia has extensive human resources, organization development, consulting and training expertise, which has been built through a solid mix of experience as an internal human resources executive within the broadcast industry and as an external consultant to numerous organizations. Over the years, Joe has consulted with leading organizations including Constellation Energy/Baltimore Gas & Electric, Eastman Kodak, Fannie Mae, Fidelity Investments, General Electric, Hoffmann-LaRoche, Loyola College, Microsoft, PJM Interconnection, Raycom Media, Showtime Networks, Texas Instruments, Viacom, and Volvo. Joe holds an M.A. in Industrial-Organizational Psychology from Rensselaer Polytechnic Institute in Troy, New York and a B.S. in Psychology from the State College of New York at Oneonta. Learn more about Joe at Glimmer Glass Consulting.